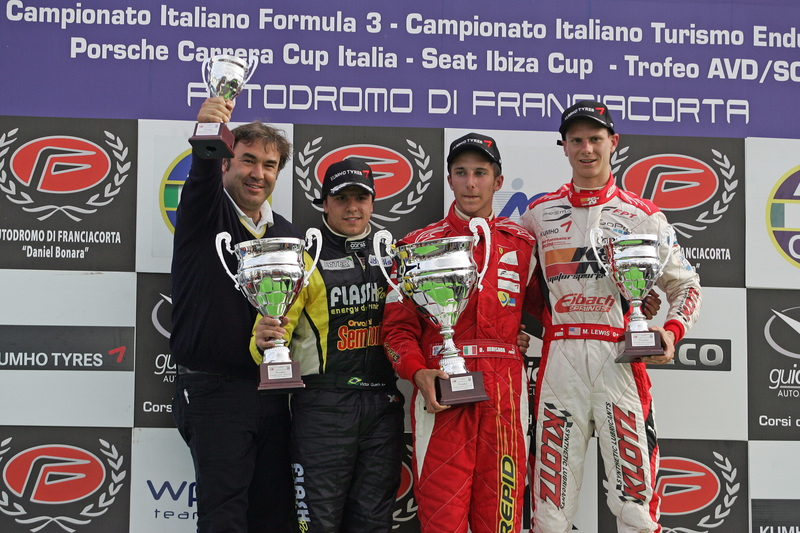 15/05/2011 - The first round of the Italian Formula 3 2011 Championship saw Brandon Maisano (BVM SRL) topping the charts of race two in Franciacorta, ahead of Victor Guerin (Lucidi Motors) and Michael Lewis (Prema Powerteam). The top ten was completed by Kevin Giovesi (Lucidi Motors), Edward Cheever (Lucidi Motors), Raffaele Marciello (Prema Powerteam), Sergio Campana (BVM SRL), Daniel Mancinelli (R.P. Motorsport), Jesse Krohn (R.P. Motorsport) and Simone Iaquinta (Downforce Competition).